What an honor and privilege to be sharing myself with 52 quilters’ followers this week, week 40. I am a crafter at heart. Growing up, I crocheted, did latch hook, made key chains, and more. My mother sewed when I was young and from her influence along with taking sewing in Jr. High School, I sewed and designed many of my outfits as a teen and continued to sew as I got older and had my son. Making clothes was not something I was passionate about so when my son was about 4 years old I stopped sewing. I remember the last thing I made was a clown costume for him. I got rid of all my sewing stash and paraphernalia. In later years, I did pick up my up my crochet hook again. My granddaughter was in Girl Scouts and in helping her to earn her creative badges specifically one for crochet, it led me to getting the crafty bug again. She earned her badge and moved on to other things but I continued to crochet. I enjoy creating my own designs. I began to participate in craft shows and sell items I designed. I was featured in the local paper Lifestyle section for a hat I designed. 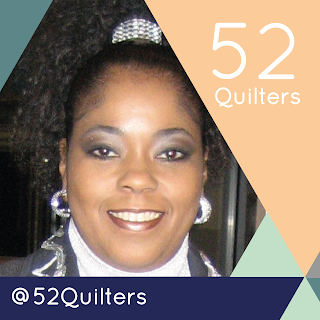 Over 10 years ago, my best friend took a sewing class at Joann Fabrics with an instructor who was also a quilter. The quilts intrigued her so she almost immediately turned her attention from sewing classes for clothes to quilting classes. 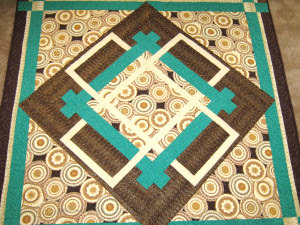 She “told” me I was joining her in taking quilting classes which I did as I was “told” and I was hooked. Since I had gotten rid of my sewing machine and supplies many years earlier, I had to go out and buy another sewing machine along with rebuilding my fabric stash - what a drag right ;-). However, I was not only hooked but I developed a passion for it. As a new quilter, I started out buying patterns and making for the most part traditional quilts. As I became more involved in the quilting world, I discovered the possibilities of what could be done with fabric were limitless. 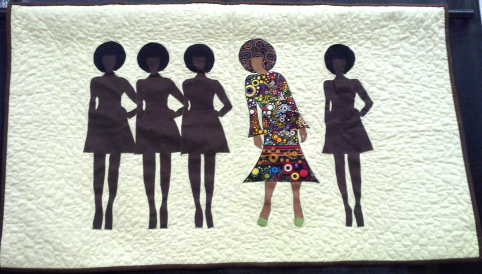 Seeing what others were doing in the name of quilting amazed me and I wanted to be a part of it. 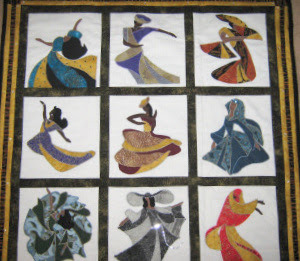 I discovered that quilting allowed me to express myself creatively and led to me describing myself not only as a quilter but also as a fiber artist. 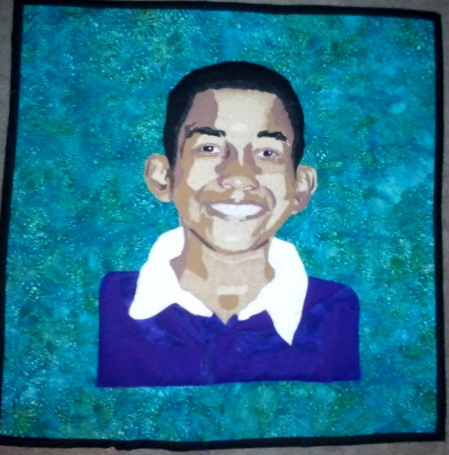 I really enjoy making portrait quilts. Starting with the inspiration portrait, moving through the creative process and seeing the end result is very fulfilling for me as a fiber artist. I love exploring the quilting world, talking about quilting, learning new things and sharing what I have learned and experienced. So I am really looking forward spending the week with you doing what I love. Beautiful quilts! Thanks for sharing this week. I especially like "I'm Different" and the portraits you shared all week.